We LOVE seeing how you guys use our printables! It seriously makes our day! These party photos were sent to us by Irma, and I think she did a fanTAStic job of using our printables to personalize her party! To get your own Minnie Mouse party printables, click here! The one is turning 3, and the other turning 1. Im having a combined party. 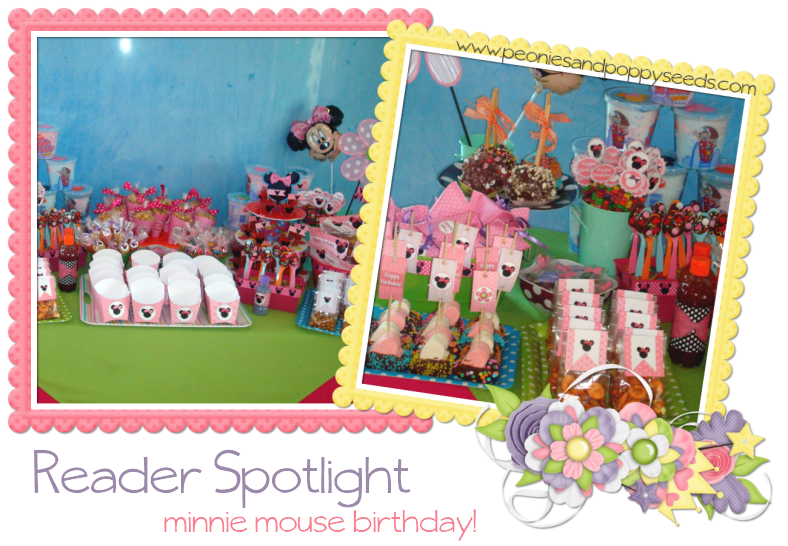 Theme: Minnie Mouse and Baby Minnie Mouse! So excited. Can wait to use your stuff. Will send pictures.